Wastewater solutions specialist Jacopa has reached a landmark agreement with German water technology systems experts Steinhardt GmbH as the sole distributor for its wide range of flood and process protection products in the UK and Ireland. The move is designed to enhance and consolidate Jacopa’s reputation as a one-stop shop for customers in the stormwater management market. The agreement teams Jacopa’s existing extensive portfolio of leading-edge screens with Steinhardt’s advanced stainless steel stormwater solutions which are fabricated using the latest laser technology and advanced stress modelling. Steinhardt’s iconic ‘Hydroslide’, which was awarded best regulator in IKT testing in 2018 is among many products to be offered through Jacopa. The highly regarded flow regulators accurately regulate flows within foul and surface water sewers, rivers and other watercourses, providing a constant discharge through the required head range, which utilises the permitted downstream flow rate. The robust Hydroslide is manufactured from stainless steel with brass bearings for long life. The units feature variable orifice control and several models are adjustable to ± 30% from the set point. Some models also have an automatic blockage release function and larger units are available for river control. The solution delivers certified performance with a flow accuracy of ± 5% and by maximising the downstream discharge rate upstream storage requirements are minimised. This decreases the cost of the overall scheme and reduces the drain down time of attenuation structures compared to other types of control enabling the system to be ready for the next storm more quickly, reducing flood risk. Stepped control is also possible, and the systems are renowned for being low maintenance. There are five main types of HydroSlide available: mini, the most basic type, used for low head applications; VN, for intermediate heads; VS, for high head applications; GM, which is for downstream configurations in foul sewer applications; and Combi, which can be installed in upstream (inlet) or downstream (outlet) configurations, and is also for foul sewer applications. Steinhardt has an outstanding reputation for creative and cost saving technologies that work without use of electricity to ensure significant gains for the end user. The company’s solutions are in use in over 70 countries worldwide. Even the most seasoned of water industry watchers might fail to spot that the tie-up between Jacopa and Steinhardt has something of a precedent. Once upon a time there was a company called Copa, another one called Jones + Attwood…these, and various other water industry suppliers were bought and brought together, first under the GLV brand and, subsequently, as a major part of Ovivo. Almost four years ago, various Ovivo assets – primarily those of Copa and Jones + Attwood – were subject to a management buyout by a newly formed company, Jacopa. There was a historical connection between Copa and Steinhardt and, thanks to the Jacopa/Steinhardt agreement, this has been re-established, meaning that Jacopa’s existing stormwater portfolio is substantially enhanced by the Steinhardt range of proven products. If Alex and Jacopa are understandably enthusiastic about the Steinhardt link-up, there’s little doubt that the Germany company, and its owner, Jorg Steinhardt are similarly envigorated by the new opportunities. Indeed, when talking to Jorg, it very quickly becomes clear that he lives and breathes all things water and that he, and Steinhardt, are constantly seeking new solutions to existing and/or new problems. Jorg continues: “A mechanical engineer thinks in millimetres, and a civil engineer often in coarser measurements – we know these type of problems and understand the different biological and chemical processes, all of which helps us with the design process, so we can select the safest, long life solution and eliminate or at least minimise the required power consumption. One example may serve for many – in this case it’s Steinhardt’s work on CENTAUR, described as a ‘cost-effective neural technique for the alleviation of urban flood risk’. CENTAUR is a European Union Horizon 2020 (H2020) Innovation Action, the project started in September 2015 and runs for three years. CENTAUR has been developed and tested using computer models and a laboratory test facility at the University of Sheffield (UK). A pilot system was installed in Coimbra (PT) in September 2017 and for field testing. And a further demonstration site in Toulouse (FR) has also been implemented. As an ‘Innovation Action’, CENTAUR aims to develop existing technologies into a marketable system. The project team includes two SMEs, three universities / research institutes and two water utilities. Jacopa offers a Flushing Gate system that is a highly effective, low operating cost, method of cleaning storm tanks / attenuation sewers utilising captured storm-water to flush settled debris away. Storm tanks of any size can be cleaned using this system. Equipment can be retro fitted into existing structures. HydroSelf can be installed within rectangular or circular structures. Jacopa offers a wide range of flow regulators suitable for use within foul and surface water sewers and river and attenuation ponds. This allows controlled flows to pass downstream limiting the potential for flooding. The constant discharge throughout the required head range also minimises the volume of upstream attenuation required. 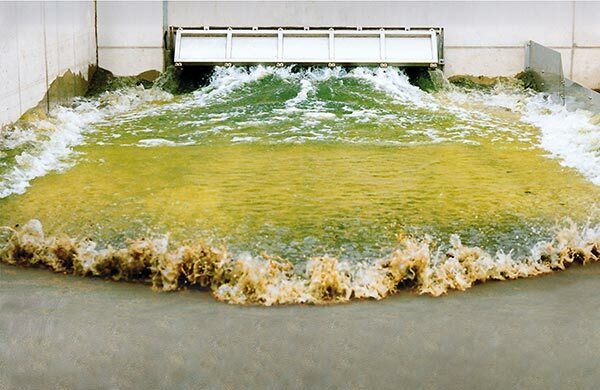 The Jacopa HydroStyx attenuates storm flows by utilising the unused storage within the existing sewerage system volume to prevent flash flooding. Using the existing manhole chambers, the flow is attenuated as it passes from section to section taking the peak out of the storm surge. The HydroSurf unit is a pivoting skimmer used to remove fine floating sediments from storm tanks / treatment tanks. These are designed to the specific requirements of the site, but can operate with impounded heads of up to 8 m.
Jacopa offers a HydroSwitch unit that is used to direct foul flows that have been connected to the surface water sewer and are causing pollution to river and ponds. The sewerage component within the surface water system is directed into the foul sewer during dry periods. In storm conditions the HydroSwitch closes the connection to the foul sewer avoiding excess flow in the sewer and permits the surface water sewer to flow to its discharge point without diversion. Jacopa offers a range ElectroSlide powered flow regulators suitable for use within foul and surface water systems. The system is controlled through a plc programme that calculates the required orifice open area by monitoring the upstream water head. Jacopa offers a range of float controlled flap valves units suitable for use within foul and surface water sewers. The float provides force to ensure the flap closes when necessary. Two types of flap are available one primarily designed for discharges to rivers, harbours etc and the second as an anti flood and assistance for flow regulation when used with the Hydroslide product. The Hydro M.E.S.I.® particle separator is fitted with swivel mounted lamella settlement panels to aid quicker settlement of fine particulates. This increases the performance and quality of the treated flow in a very economic manner. Because of its modular structure, the Hydro M.E.S.I.® particle separator can be tailored to suit the needs of each individual catchment, and can be fitted with additional features to simplify maintenance operations if desired. The additional features can include trash screens, flow regulators, tank flushing, sludge removal to create a complete treatment facility. Jacopa Hydrobeam units can be erected with ease when a flood risk threatens a site. The system is manufactured from high quality stainless steel (supports) with aluminium logs which are locked into position to minimise leakage. Jacopa offers a range of Hydrobend units that can be used to maintain a specific top water level within sewers or surface water / canal / River systems where regulation of water level is desirable. The Hydrobend can also be utilised to provide additional storm storage prior to spills occurring. Jacopa offers a range of Hydroclean units that can be used to screen storm overflow discharges. These units are water powered and require no control panels or electrical input; ideal for rural areas where a mechanical screen is desirable but the cost of providing power is high. Jacopa offers a range of Hydroguard units suitable for use within large diameter foul and surface water sewers, automatically allowing controlled flushing water volumes to pass downstream, increasing velocity to maintain clean pipework where siltation is a problem. 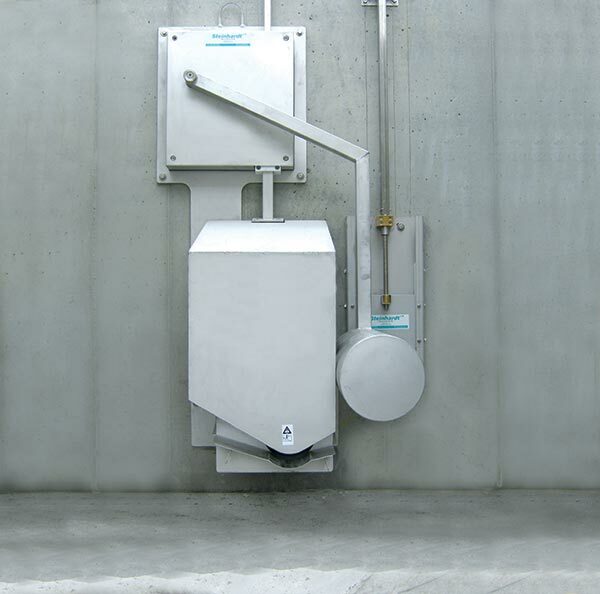 Jacopa offers a range of flow control units suitable for use within foul and surface water sewers. These units differ from the Hydroslide due to the head/discharge curve not being constant, but is similar to vortex type of controls. These can be used where flows are required to be capped at a maximum without necessarily being a constant discharge. Jacopa offers an innovative mobile floodwater protection barrier which is ready for service in just a short time – the barrier can be erected quickly and when the flood water has subsided, just as quickly dismantled and packed away for its next deployment taking up only a minimum of storage space. And, while the products and underlying technologies might be new to the UK market, they come with the Steinhardt pedigree and plenty of reference customers in Germany and further afield. If Water Active readers will excuse the pun, the Jacopa/Steinhardt partnership could be described as something of a ‘perfect storm’. During the rest of 2019, there’ll be plenty of product and contract win announcements, alongside case studies and technology articles. 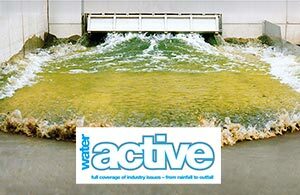 Most immediately, the February issue of Water Active will include Part 2 of this article which looks at how Jacopa is developing as a business overall.